Robert Schumann's Romanze from Three Romances for Piano, Op. 28 has been arranged for 12 celli by Gerhard Roither. 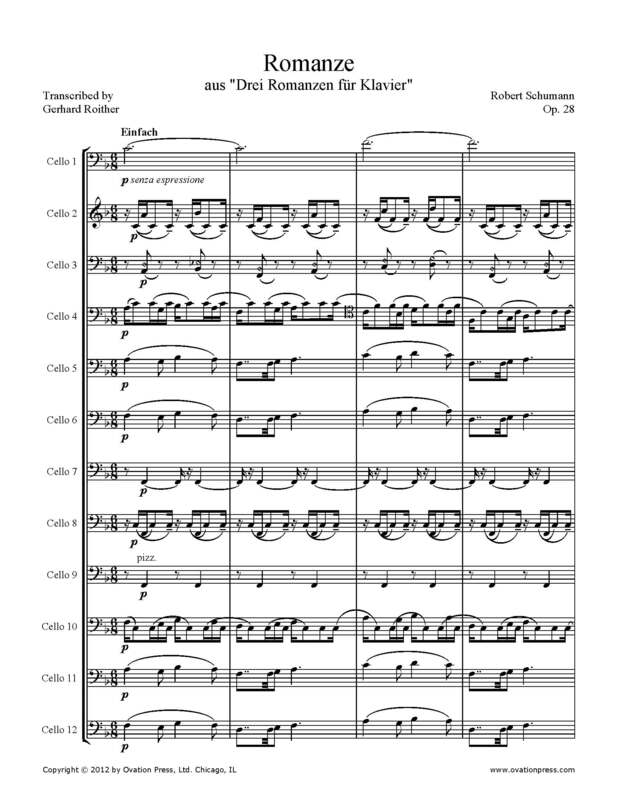 This is an example of a typical romantic piano work masterfully arranged for cello ensemble. The original work is in F-sharp major, but with today's extremely high pitch, one can achieve the same experience in F major as F-sharp major in Schumann’s time. Schumann's heartfelt poetry requires a very delicate transparent sound. When playing this arrangement visualize the cello concerto.